The expectation was that he'd talk about the Canadian long term space plan (LTSP), at least for those of you who read my February 16th, 2010 blog post titled Feedback on Ottawa Citizen: "Where Did That Long Term Space Plan Go?" After all, by now everyone agrees that the LTSP exists, is referenced in recent Canadian Space Agency documents like the Reports on Plans and Priorities 2010-2011 and is about to be publicly released. This perception is bolstered by the recent article by Elizabeth Howell titled "Canada’s focus in next two years: the North" on the PArs3c blog and ongoing coverage by Marc Boucher on the Spaceref.ca website. 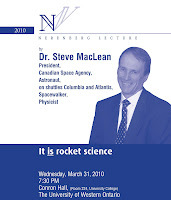 But the LTSP hasn't been approved yet by the ruling Conservative government and so Canadian Space Agency (CSA) President Steve MacLean only went publicly on record as stating that "Space and space assets should be an essential element of government infrastructure" according to the April 22nd, 2010 article "Does Canada Have a Future in Space?" written by Mitchell Zimmer and published on Western News, the daily news site for the University of Western Ontario. 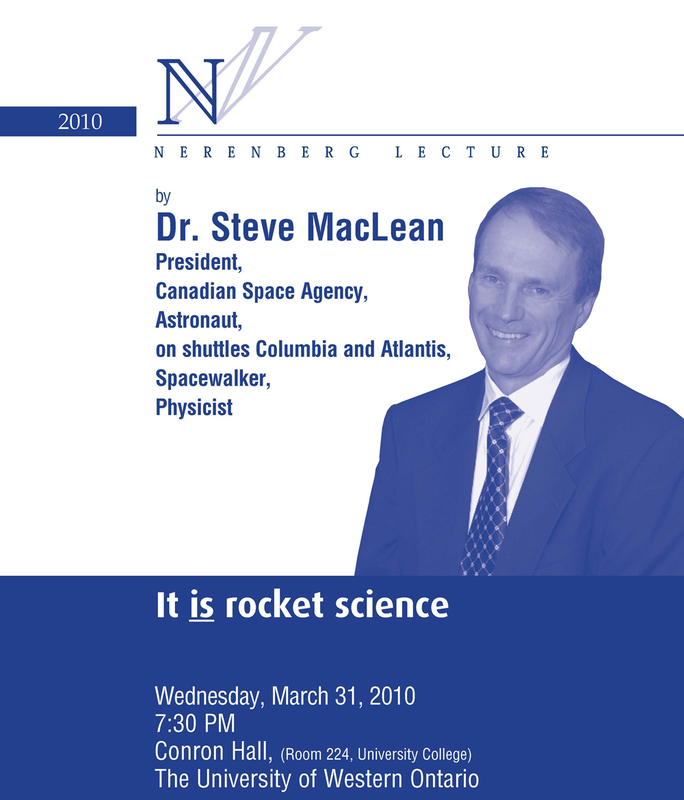 The comments came as part of the 2010 Nerenberg lecture series where MacLean was speaking on the topic "It is Rocket Science!" The article was also reprinted in a slightly different format on the Western Faculty of Science web page under the title "Astronaut says Space Research is Essential during Nerenberg Lecture,"
It's odd that MacLean wasn't more definitive about the LTSP and what the government should be doing. Perhaps there is something in the present LTSP that his political masters disprove of and wish to change before releasing the document. "Although the budget makes no mention of the long awaited Long-Term Space Plan, the additional funding provided to the Canadian Space Agency to complete the Radarsat Constellation Mission is good news for the Space industry. “This measure will stimulate the Space sector and keep value-added jobs in Canada while serving government priorities,” said Claude Lajeunesse, President and CEO of the AIAC." "We have no long-term space plan. We have no vision. It's partly the fault of the Canadian Space Agency, but there's been little movement from the government on what our role should be. There's no government policy at all in terms of what we should be aiming for in space." So what we have here is three presidents, each involved with space focused activities and each mentioning that the present Canadian government really should focus a little more on our space infrastructure. One (Kevin Shortt) doesn't believe that the LTSP even exists while the other two are more cagey and publicly admit only that there should be one. It seems that our Presidents have made their choice. But it also seems that there is something in the LTSP that the Prime Minister and our government in Ottawa disagree with. Otherwise, they'd have released it by now. It will be interesting to find out just what specifically that is. Whether you call them micro-satellites, nano-satellites, miniaturized satellites, small-sats or something else entirely, these useful tools of unusually low weights and small sizes are big news for Canadian space focused businesses. This is partially the result of the recently concluded Workshop on Suborbital Platforms and Nanosatellites, organized by the Canadian Space Agency (CSA) and held at the John H. Chapman Space Centre in Longueuil, Quebec on April 14th - 16th. But the workshop is really only acting in a supporting role to the recent announcement that COM DEV International has purchased Routes AstroEngineering (Routes), a privately owned Ottawa-based company specializing in the design and manufacture of advanced instruments mostly for micro-satellites. Routes has been a significant player in the Canadian space industry for 22 years with contributions including the OSIRIS ozone monitoring instrument for the Swedish Odin Astronomical/Aeronomical Satellite; a power subsystem for the Canadian SCISAT 1; an electronic subsystems readout for the Ultra-Violet Imaging Telescope component of the Indian ASTROSAT space telescope; solar panels for various satellites including the University of Toronto Institute of Aerospace Studies CanX4 and CANX5; and a data storage unit for the CAScade, Smallsat and IOnospheric Polar Explorer (CASSIOPE) satellite. This purchase bolsters COM DEV's ability to inaugurate its own line of small satellites as discussed in my November 9th, 2009 post Canadian Component Builders "Moving Up the Food Chain" to Build Complete Satellites. This partnership is funded under the Southern Ontario Development Program (SODP), which will allow COM DEV to launch the first generation of its micro-satellites and establish Ontario as a world leader in this emerging industry. It's good that the CSA is providing a forum of support for activities that the federal government is funding and private businesses like COM DEV are actively pursuing but one wonders if this supporting role was an intentional choice. 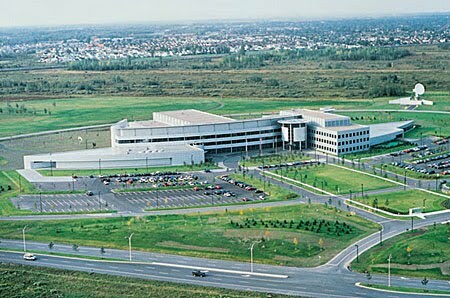 With all the fuss and bother around the Obama administration and the recent changes being made (or at least attempted) in the American space program, it's interesting to note that some of the most important changes are new capabilities being developed outside the US in countries with ongoing and strong Canadian connections. "India has no choice but to master this technology in the long run as it is technology that has been denied to the country, the sources said. It took the country more than 15 years to develop the cryogenic engine as technology for this was denied when, in the 1990s, America put pressure on Russia and forced the cancellation of an Indo-Russian technology transfer deal. The argument given was that India would use these engines to make missiles. Of course, the Indian government ended up making missiles anyway and now has a comprehensive inventory developed through their Integrated Guided Missile Development Program (IGMDP). 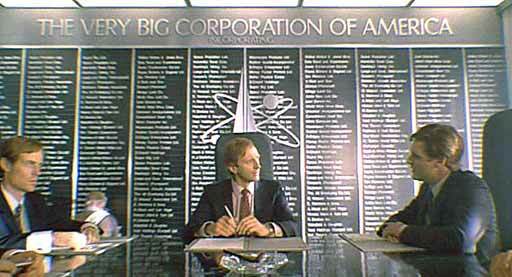 It looks like they'll shortly master the core cryogenic technology as well. India's dependence on Russian built cryogenic engines to launch heavy satellites has hampered growth, and prompted Indian scientists to develop the technology. Indian space scientists hope to offer satellite launch services at much cheaper rates compared to Western countries, and expand the business to about $120 million a year. The Canadian Space Agency (CSA) and other organizations which already use facilities operated through the Indian Space Research Organization (ISRO) cannot help but benefit from the lower launch costs promised by this Indian initiative. Beginning in September, the Special Purpose Dexterous Manipulator (also known as DEXTRE), that remarkable Canadian built appendage to the International Space Station (ISS) will face stiff competition in the form of a robot designed by General Motors and the National Aeronautics and Space Administration (NASA). 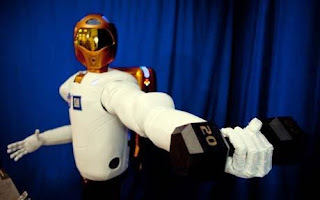 Robonaut 2, or R2, was developed jointly by NASA and General Motors under a cooperative agreement to develop a robotic assistant that can work alongside humans, whether they are astronauts in space or workers at GM manufacturing plants on Earth. The intent of this collaboration is obvious. NASA is keen on providing a potentially profitable and possibly job creating earthbound application of space technologies to placate angry congressmen and surly senators while GM is keen to inform people that it can do more than simply go bankrupt by building bad cars. The effect this will have on Canadian contributions to future NASA initiatives is less clear since robotics has always been considered an acknowledged area of Canadian expertise. The development of a second area of space based robotic expertise tied to GM and funded by NASA could reasonably be considered direct competition to Canadian robotics projects like DEXTRE and the CanadArm. The press release even goes so far as to state that NASA has dubbed R2 as the "next generation dexterous robot" which is probably not an intentional slight against our still functioning first generation dexterous robot and may even be a backhanded compliment on good old Canadian ingenuity. "The dexterous robot not only looks like a human but also is designed to work like one. With human-like hands and arms, R2 is able to use the same tools station crew members use. In the future, the greatest benefits of humanoid robots in space may be as assistants or stand-in for astronauts during spacewalks or for tasks too difficult or dangerous for humans. For now, R2 is still a prototype and does not have adequate protection needed to exist outside the space station in the extreme temperatures of space." But for at least for the next little while our Canadian DEXTRE, which might be ugly but does at least have adequate protection to function in space as a stand in for astronauts, will continue to do so while Robonaut 2 remains within the safer and more comfortable interior accommodations of the ISS Destiny laboratory. So what does the Canadian dexterous robot look like? Take a look for yourself. 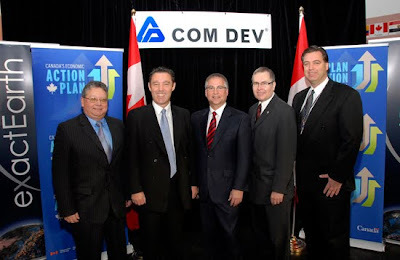 If you want to get a sense of where the largest Canadian space focused businesses are going you might want to take a look at the article "MDA Says New NASA Direction Plays to Company’s Strengths" published April 9th, 2010 on the Space News website. The article, quoting extensively from a March 18th conference call between Macdonald Dettwiler and Associates (MDA) executives and investors, states unequivocally that the company "which is facing a revenue loss of $20 million a year with the retirement of the U.S. space shuttle, nonetheless views NASA’s proposed new direction as “a dream made in heaven” and is urging the Canadian government to take advantage of it before other nations do." But if you want to get a sense of where the smaller newspace focused companies are, you need to read "The Future of Venture Capital in Canada" a series published on the new media website The Mark, which bills itself as as "Canada's daily online forum for news, commentary, and debate." That's because smaller space focused Canadian companies generally don't have existing investors who get together with the management team for quarterly conference calls to discuss new opportunities. Most want too, but the investors with the capital to take advantage of new opportunities are very, very hard to come across. In the article, "Low Times for VC" author Mark Skapinker, the co-founder of Brightspark Capital says "the Canadian VC industry has always lived in the shadow of the country’s natural resource industry. As the natural resource marketplace has continued its massive growth, technology has become an afterthought." In "Creating a Venture Culture" author, creative technologist and technical marketer David Crow thinks Canadians "need to stop relying on SR&ED, IRAP, and other tax credits that support an ecosystem of zombie startups." On the other hand, Start-up CFO author Mark MacLeod, in his article "Sustaining the Startup" reminds us that "a large portion of Canada's risk capital comes from government sources. Without this public support, we would have no industry at all." And "Startup Nation" author Mike Lee, the VP of New Ventures for Rogers Communications reminds us that "great individuals and great teams are the force behind successful entrepreneurial stories." However, "when you compare Canada to the rest of the world, we are underdeveloped with respect to experienced startup talent. The raw talent is here, but the conditions to help that talent gain invaluable experience managing and operating in startups are sorely lacking." The jury is still out on whether the new opportunities available for space focused businesses are going to lead to a Canadian space and technological renaissance or just benefit a few of the few largest and best positioned firms. I personally believe that MDA Chief Executive Daniel E. Friedmann would rather appreciate having a couple of solid Canadian subcontractors to help him build those telecommunications satellite for the National Space Agency of Ukraine. Canadian Long-Term Space Plan Pops Up and Looks Around. Portions of the Canadian Long-Term Space Plan (LTSP) have finally surfaced, according to my colleague and sometime editor Marc Boucher over on SpaceRef.ca, as part of the recently released Canadian Space Agency (CSA) document titled 2010-2011 Report on Plans and Priorities which is available for download from the Treasury Board of Canada Secretariat website. 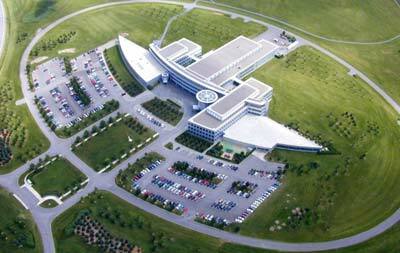 ".... undergoing organizational structure changes to reflect the new Long Term Space Plan. The most notable changes are in the categorization of the four Directors Generals. According to the article, the Director General offices of the CSA, which report directly to CSA President Steve MacLean and were classified under the titles space utilization, space exploration, space science and technology/ corporate services have been reclassified under the new titles of space science, space technologies, space programs, and operations, effective as of April 1st, 2010. Left unclear is how these reorganizations specifically reflect the LTSP, which still has not been publicly released. The Canadian Space Strategy (CSS) approved by the Government of Canada in February 2005 (which) guides the Canadian Space Agency in the management of its programs. The Strategy is instrumental in focusing decision-making at the CSA and aligning all space related program activities through its strategic outcome and long-term priorities. Section 1.1 is, of course, referring to "The Canadian Space Strategy: Serving and Inspiring the Nation," a document much referenced on this blog and elsewhere only because it was quickly overwhelmed by the aborted sale of portions of space contractor MacDonald Dettwiler and Associates (MDA) to American-owned Alliant Techsystems (ATK) in April 2008 which highlighted national security issues and economic infrastructure components required for a comprehensive national space policy but lacking in the 2005 report. ...At the same time, the CSA carried out a series of consultations with its stakeholders and partners in order to move forward with renewed impetus to sustain and enhance Canada's space advantage, and contribute to a strong Science and Technology culture. As a result, a Long Term Space Plan (LTSP) that charts a course for the next ten years has been drafted for presentation to Government for consideration. The Plan highlights the fact that responsibility for the use of space-based assets is diffused in Canada. None of this seems to relate to economic infrastructure and national security or anything new since it's all about "adjustments" and "consultations" but at least now we know that the LTSP has been "drafted" for "presentation to government for consideration." Which means, of course, that the LTSP hasn't been approved. I wonder what the government doesn't like about it? This is something the CSA has been attempting to do since February 2009 and you'd think they're have gotten it right by now. The overall coordination must rest with the Canadian Space Agency which under the Canadian Space Act has the mandate to assist the Minister of Industry in the coordination of space policies and programs of the Government of Canada. Essentially, if Canada does not define a long term space plan, private business and academia will soon go about creating their own... Mr. MacLean might need to respond to these rising calls for a long term space plan soon, or else risk becoming irrelevant to the debate. Evidently, the future is arriving faster than expected. There are certainly enough silly news stories circulating in the world (and the recent BBC comedy skit presented above is a pretty good example of what to look for) but the Canadian Space Agency (CSA) doesn't often end up as a part of one. So thank goodness for RIA Novosti, the Russian news agency and it's amusing, but evidently clueless coverage of what began as a perfectly sensible Canadian space focused story. "The Canadian Space Agency is looking at the Nova Scotia island as one of two possible sites to blast small satellites into orbit using an indigenous rocket launch system. The other possible micro-satellite launch site is Fort Churchill in Manitoba, near Hudson Bay, where hundreds of small research rockets have been launched in the past." According to Rakobowchuck, the article was based on a series of CSA requests for proposals (RFP's) which were issued beginning in 2008 and included assessments of both potential launch sites and possible Canadian built launchers. But the simple "potential for" or "possibility of" didn't seem to be quite good enough for RIA Novosti which, while listing the Rakabowchuk piece as the primary source material for their March 30th, 2010 article titled "Canada to build bases for space tourism rocket launches," also seems to have added quite a bit of information not found in the original. "planning to build two bases for launching rockets carrying space tourists, the Russian Space Agency Roscosmos said citing the information agency Canadian Press." The article also indicated that British billionaire Sir Richard Branson was actively backing the CSA project. In fact, the only constant between the versions seemed to be comments from a Manitoba government official who indicated being either "open to discussing the possibility," or else "keen on the idea" or perhaps even "welcoming the idea with enthusiasm." By March 31st the well respected and American based Space Fellowship blog (which started out as the official forum for the Ansari X-prize) had jumped on the bandwagon by reprinting the original article, with minor corrections on their site under the same title. "The province of Nova Scotia has signed an agreement setting aside 300 acres of government-owned land for US-Canadian private space firm PlanetSpace to construct a rocket launching facility. PlanetSpace hopes to develop a space tourism business, ferrying customers into space in suborbital and eventually orbital flights. 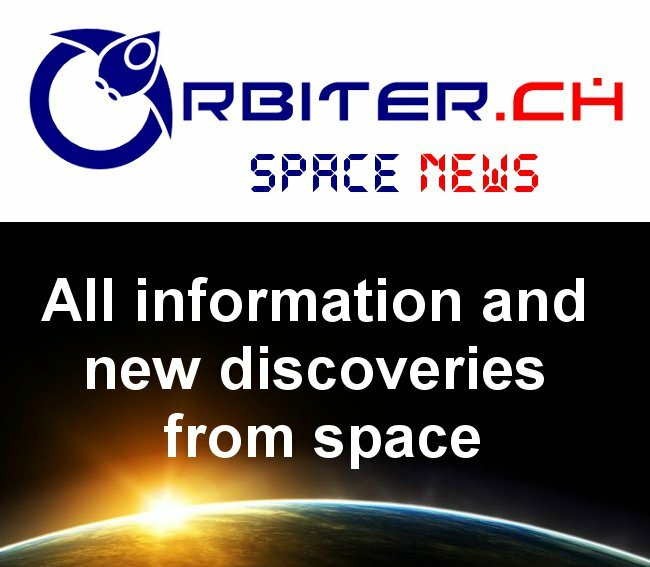 It intends to start construction within a year to have the spaceport ready for its first suborbital launch by late 2008 or early 2009." The stated dates have come and gone but as of today, PlanetSpace (which started out as the Canadian Arrow entry in the Ansari-X-Prize competition) has not begun construction on the facility and is unlikely to do so any time soon. Of course, the CSA could publicly release the information collected through it's RFP's in order to clear up this seeming confusion between those who think the questions relating to Canadian launch sites and vehicles have only been asked or assessed and those who believe the questions have been decisively answered. Then we'd know a little bit more about what's really going on. Space Swashbucklers on the High Accountant "Sea"! Manned space flight has always been considered high risk and while insurance is traditionally considered boring, it's also a necessary component of high risk activities, at least according to the article "Viability of Commercial Crew Plan May Hinge on Risk-sharing Scheme" written by Brian Berger and published April 2nd, 2010 on the Space News website. But how does this US focused article relate to Canadian space activities? That's an easy question to answer. Although we have astronauts just as brave as the Americans and all those other nations with astronauts, we also have a history of hitching rides into space on other, mostly American, launch vehicles. In order to continue doing this, we need to know what our best and most consistent ride into space is planning to do and what other options are available just in case something high risk happens. "As NASA devises its strategy for fostering development of a commercial successor to the space shuttle, the nation’s primary rocket builder is cautioning the agency not to count on industry for a substantial upfront investment in an endeavor rife with uncertainty." The article focuses on an interview with Andrew Aldrin, director of business development for Denver-based United Launch Alliance (ULA) who seems to have a strong preference for the sort of insurance provided only by a contract that "appropriately distributes risk between industry and government." This is a shame, because the US government is not the only organization capable of providing insurance for space focused activities. There are quite a few others, most of them private and they even get together every two years at the biannual International Space Insurance Conference to talk about the financial, legal, scientific and risk management questions associated with these activities. At the last conference in Venice in 2009, keynote speaker Benito Pagnanelli, the President of Pagnanelli Risk Solutions went so far as to say that the global credit crisis was "hardly touching the space sector" and there was plenty of money available for further expansion. The National Aeronautics and Space Administration (NASA) was even listed as a sponsor of the 2009 event. But if Mr. Aldrin is indeed asking specifically for government assistance, it's quite likely that he was not really looking for an insurance policy in the traditional sense, but was instead politely advocating for something called a cost plus, or cost reimbursement contract which Wikipedia defines as a contract where a contractor "is paid for all of its allowed expenses to a set limit plus additional payment to allow for a profit." In essence, a cost plus contract provides a guaranteed profit on top of all the other expenses and this must makes quite a bit of sense for Mr. Aldrin when you consider that his very big employer is used to this sort of deal. ULA is a Boeing-Lockheed joint venture which today depends on hundreds of millions of dollars in US Air Force "sustainment" funding on top of it's regular fees in order to keep its doors open. Of course, this likely doesn't make ULA a good business bet for the long-term, but the company does provide the only proven US launchers presently capable of delivering manned space capsules to orbit with their Atlas 5 and Delta 4 rockets. So if Mr. Aldrin is indeed in the midst of attempting to position itself as a major supplier for the National Aeronautics and Space Agency (NASA) emerging human spaceflight program, he needs to be taken seriously, at least for awhile. But quite soon, ULA will face stiff competition from the Russians (with their existing Proton family of heavy launchers plus the coming Angara series), the French (with their Ariane 5) and from smaller, more nimble US based firms like Space Exploration Technologies Corporation (Space-X, with their Falcon rocket family) who are advocating fixed pricing contracts where the amount of payment does not depend on the amount of resources or time expended, but only on the service provided. Mr. Aldrin needs to be asking himself just what type of "assurance" his very big American corporation needs in order to compete effectively with this inevitable multitude of growing American and foreign competitors slowly popping up along the horizon? As for Canada, we might want to start comparing our space faring options. Our hitchhiking days could be ending.